We can’t wait for Halloween to get here! It’s the first taste of slightly cooler weather down here in southwest Florida, and a chance to dress up and make some spooky treats. 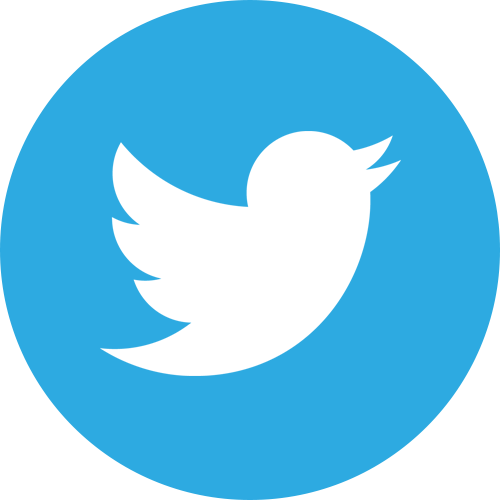 Have a loved one in town? Plan a baking party or throw a Halloween bash with them. We put together some fun Halloween treats you, the kids, friends, and other family members will enjoy eating and making. Baked apples. Check. Stuffed with cheesecake? Oh yeah! 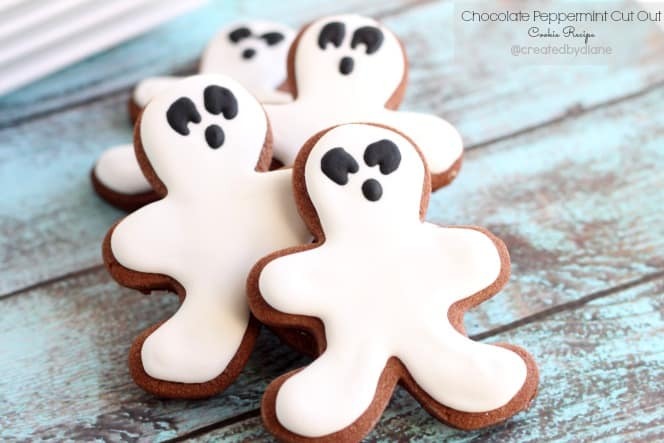 You won’t want to eat these ghosts, they’re too cute! A healthy Halloween treat for everyone. Everyone will rave about this cake. You’ll be the hit of the party! Don’t get stuck with plain old caramel apples. Spice them up! Who thought to put sweet stuff around apples? Well it’s said that in 1908 William Kolb created the first candied apple by combining red cinnamon candy and an apple to sell for Christmas. In the 1950s, Kraft Foods invented the caramel apple. This was yet another holiday candy experiment where employee Dan Walker took excess caramel, melted them, and added it to apples. Spooky, yet oh so delicious. Be sure to check out our previous articles on Halloween. Categories: activities, halloween, Uncategorized | Tags: Halloween, recipes | Permalink. Halloween is a fun time of year for those young and old. The costume shops start popping up, yards fill with graveyards and spooky witches and cobwebs, and you get to dress up however you want without feeling self conscious. The Southwest Florida area always has a ton of events happening around Halloween from the Collier County Fairgrounds all the way to 5th Avenue. Mark down your calendar and see which Halloween events you want to attend, if you’re lucky maybe you can hit them all! 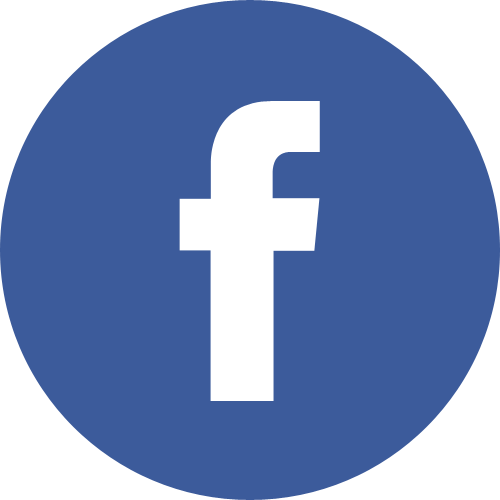 Haunted hay rides, pony rides, games, and food vendors. October 29 has a costume contest and trunk or treat. Tickets are $15 per person for 1 walk through the Haunted “Gross” House. Boo at the Zoo will be hosted for 3 days this year! Enjoy activities daily from 10am to 4 pm. Guests will enjoy a trick or treat trail, games and education activities, and watch our animals “carve” their pumpkins. Children in costume will receive FREE admission. Join us at The Village this Halloween for a frightfully good time! Face painting, balloon art pumpkin decorating, complimentary photos, arts and crafts, and trick or treating. Join in the fun as 5th Avenue South goes all out for Halloween. This fabulous festival brings kids, teens and adults together for an afternoon and evening of fun, trick or treating, costume contests for all ages and dogs too, live music, a street dance, kids crafts, live animal exhibits, giant movie screen and fun spooky cartoons and movies, and so much more! 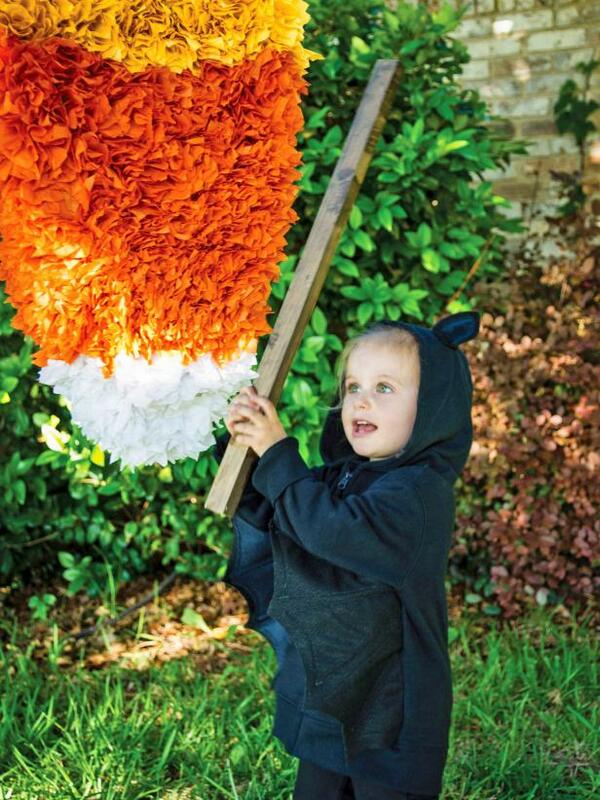 Looking for a way to celebrate Halloween without succumbing to a sugar coma? Here are a few sites that have tons of healthy Halloween-fun recipes. Categories: activities, halloween, Uncategorized | Tags: Halloween | Permalink. At Just Like Family, we’re excited for Halloween! We can’t wait! 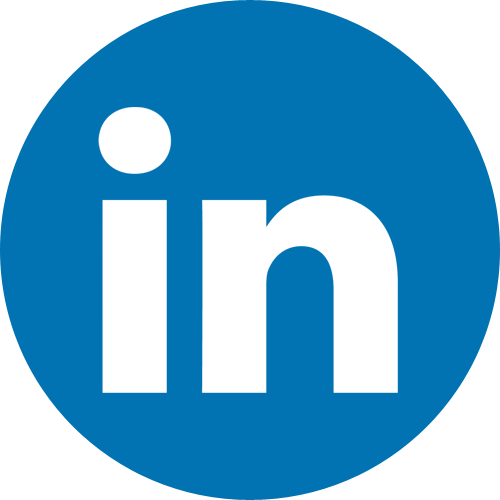 We’ve already posted about costumes, and Halloween treats and drinks. Now we’ll cover party decorations you can make at home. 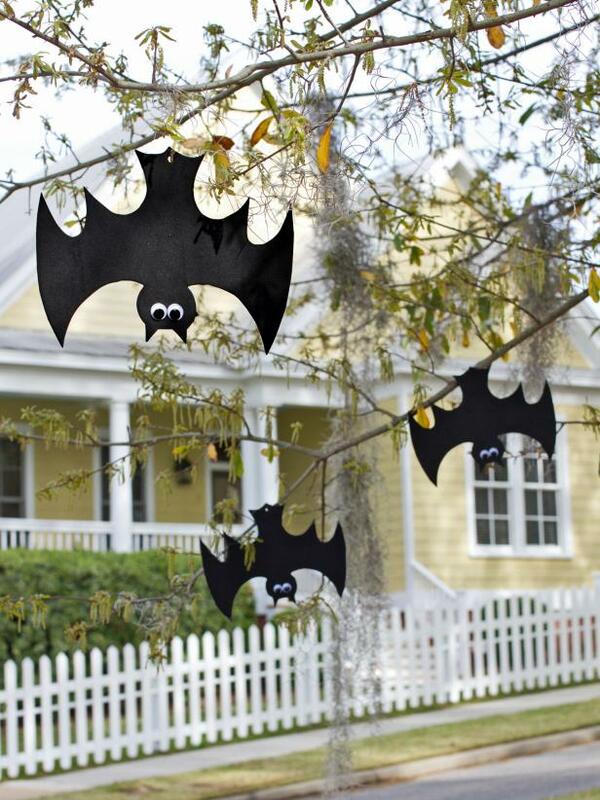 These decorations will bring your party up from “eh” to “OMG”. People will be asking where you bought your decorations. And don’t be surprised if they’re stunned to hear that they’re all homemade! Save these projects, I bet you’ll be getting asked for instructions on how to make each item from your partygoers. We’re starting out with a bang. 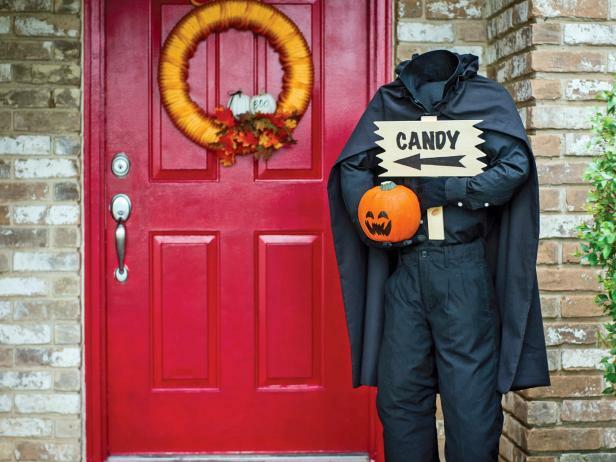 This headless guy will greet your party guests and set the tone for the night. This is a great activity for kids (and adults who love to hit things). This decoration is more understated than the previous two, but it’s a great table-piece. 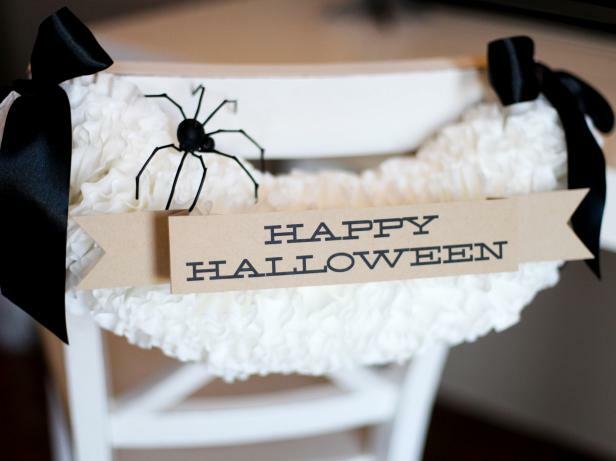 This one is easy, all you need are coffee filters, string, and a Happy Halloween sign. 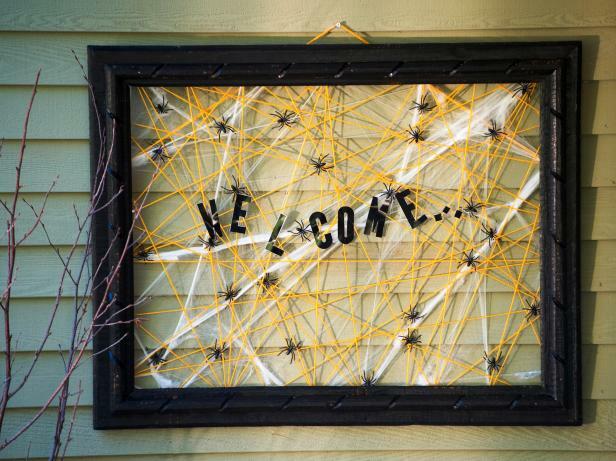 If you’re not up for making the headless horseman, try this cobweb welcome sign. 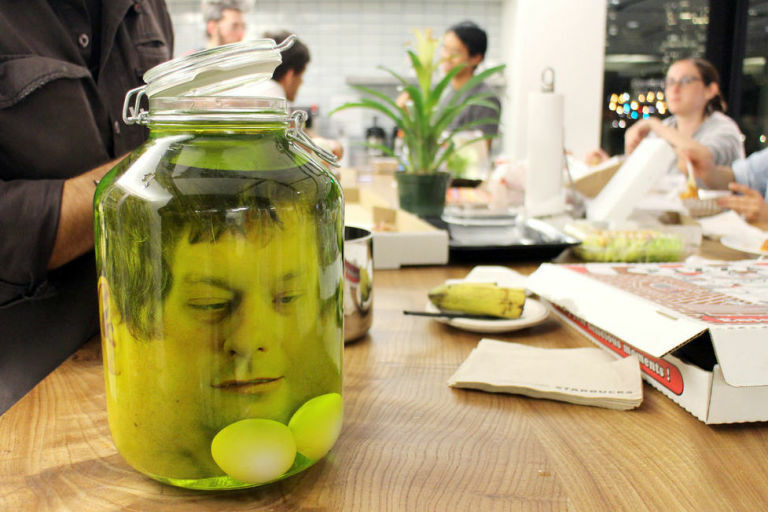 This one may freak out some of your guests, so create with caution. 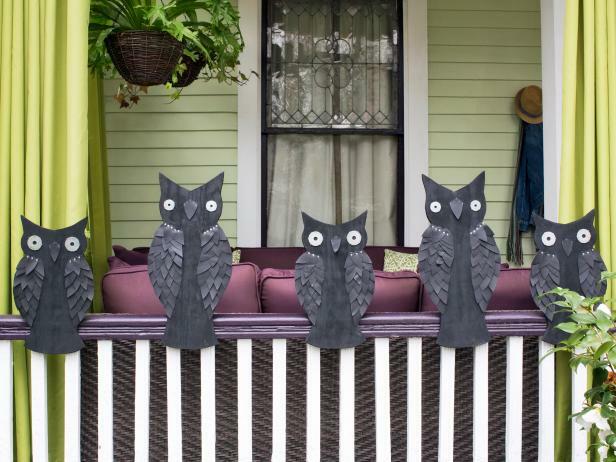 Cute little owls to watch over your yard…or guests. 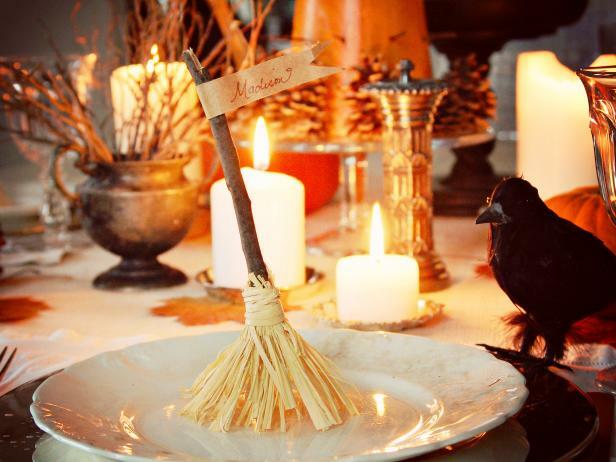 These cute place cards are great if you’re planning a sit down Halloween party. Hang these cute little guys from the trees or in your dining area or living room. 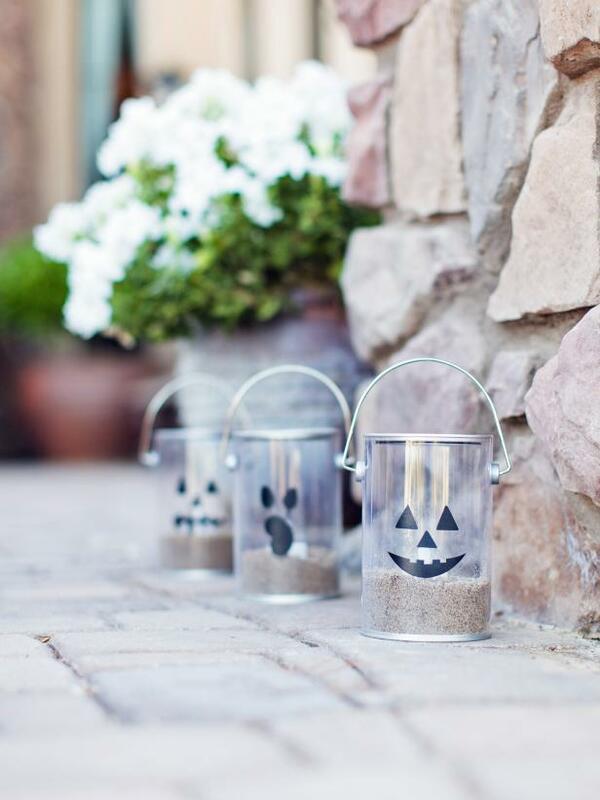 Light the path to your door for guests and trick or treaters. Categories: halloween, Just Like Family Home Care | Tags: activity, crafts, decorations, diy, Halloween, just like family home care | Permalink. When Halloween comes around, many of us break out the classic Halloween movies. Some of us also countdown the days to Halloween with tv movie marathons on channels like ABC Family. Even if you don’t like scary movies, there are plenty of Halloween-themed ones to get you in the spirit. 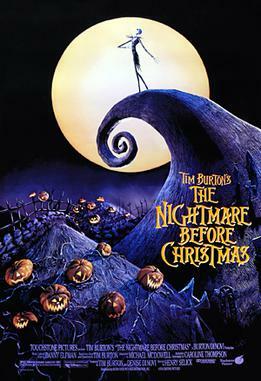 From Edward Scissorhands to the Nightmare Before Christmas you are sure to find a movie to watch this Halloween. 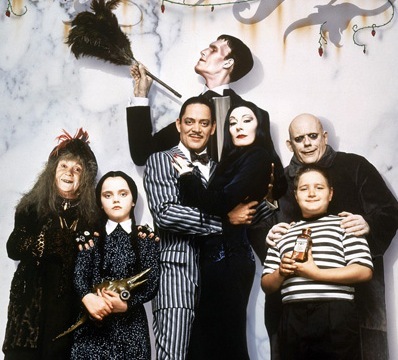 This spooky family is the epitome of Halloween. It’s not scary so it’s perfect watching for the family. This movie about a man with scissors for hands isn’t really about Halloween. But it does have a few elements. 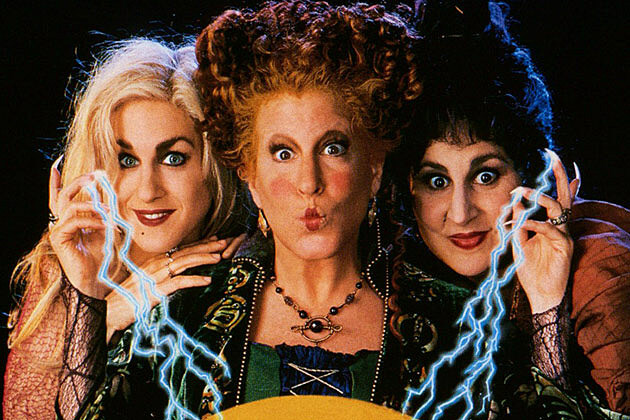 You are more likely to shed a tear than scream during this flick. This is the perfect family movie! It’s a classic and can’t be missed. This is a favorite Halloween movie for many people. The artistry, music, and plot of this movie make it a great watch. Any Treehouse of Horror episode. There is one every Halloween. Categories: halloween, Just Like Family Home Care, movies | Tags: Halloween, just like family home care, movies | Permalink. It’s never too early to start planning your Halloween extravaganza! Maybe you throw one every year and are a pro at it now, or maybe this is your first year giving it a go. Whichever category you fall into, you are sure to find a fun party idea on this list. We’re going to give you ideas for drinks (if it’s an adult party), and tasty treats. 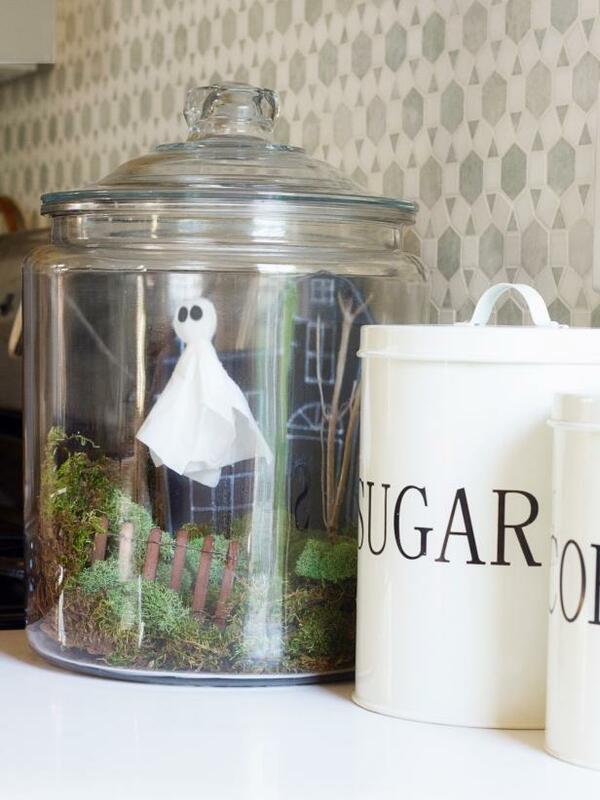 These ideas are all DIY, so don’t expect to have to go out and spend $50 on a Halloween cake when you can make it yourself. Start getting into the Halloween spirit! 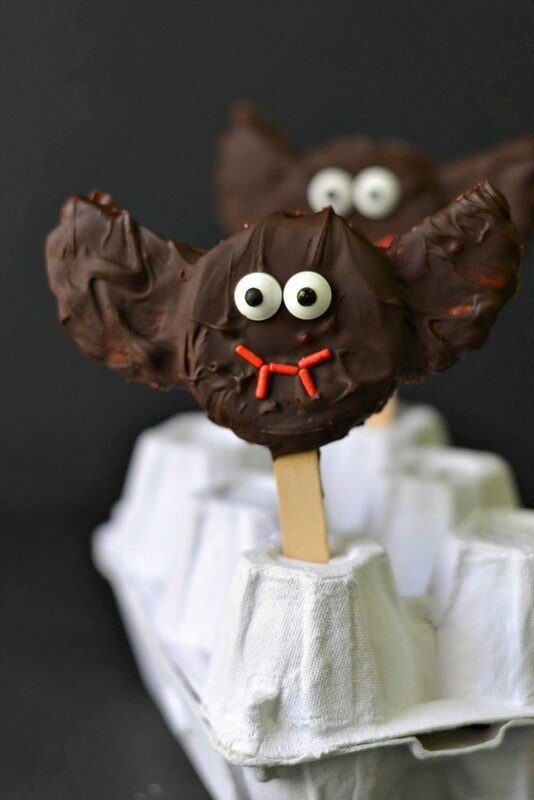 See how to make these cute flying bat cookies on ForkandBeans.com. You only need 5 ingredients! Spice up your milkshakes by turning them into zombies and ghosts! PNPflowersinc.com has a tutorial on how to make these little milkshake designs. 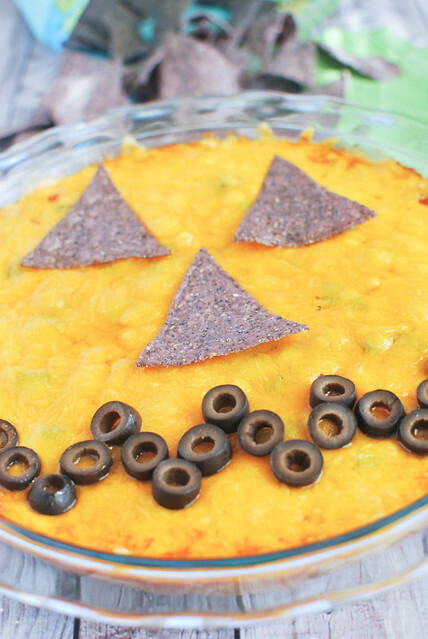 This is a regular ol’ chip dip, but with a Halloween twist. Add some chips for eyes and olives for a mouth and you have a Jack O Lantern layer dip. These cute little cookies look just like gingerbread men. But in the spirit of Halloween, they are now spooky! Try adding some black lines to resemble bones and make these into skeleton cookies. Not many cats have a reputation like black cats. You can make these cute black cat cupcakes in less than an hour. 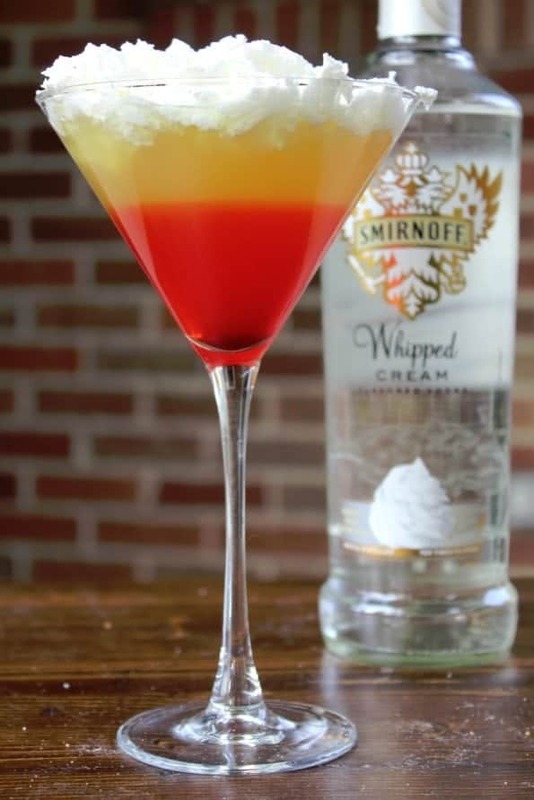 No, there aren’t actual candy corn in this cocktail. It just looks like one! This creepy, yet tasty drink will get everyone talking at your party. This is a really creative drink that will be the talking point of your get together. Categories: halloween, Just Like Family Home Care | Tags: activity, Halloween, just like family home care, party | Permalink. You’re never too old to enjoy Halloween. Whether your favorite part is dressing up, or maybe it’s gorging on candy, you always make sure to celebrate Halloween. It’s a chance to let loose and go a little crazy, because the rest of the year it’s not socially acceptable to wear costumes (unless if you’re a performer or love Renaissance fairs). 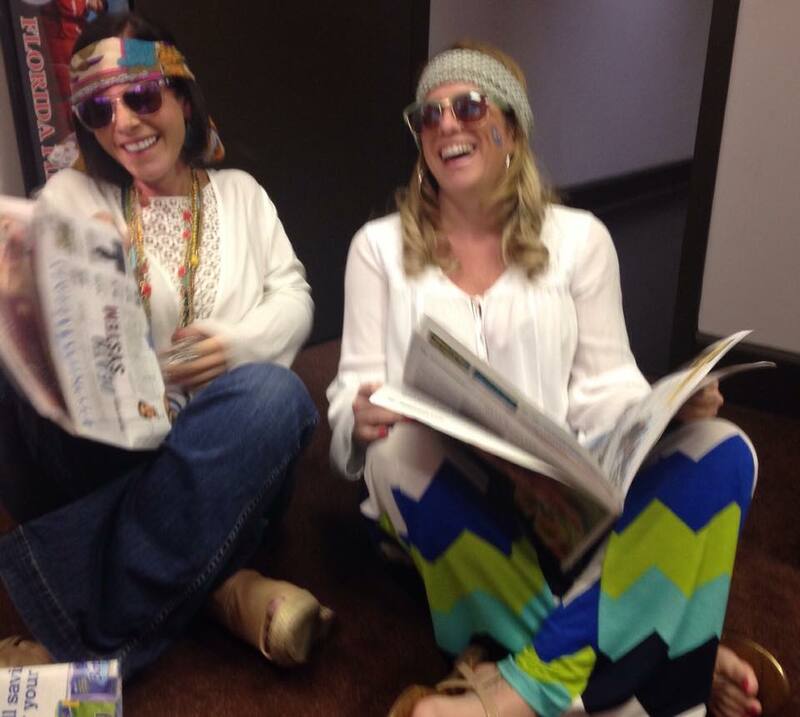 Let your inner kid out with these senior-appropriate Halloween costume ideas. If you’re a duo looking for a costume, there’s no better couple to dress up as than Popeye and Olive Oyl. It’s easy being a pirate. Well, not the sailing on the high seas part. Dressing up as one is simple enough. Grab an eye patch, a striped or white shirt, long pants, put a parrot on your shoulder, and you’re now a swashbuckling pirate. 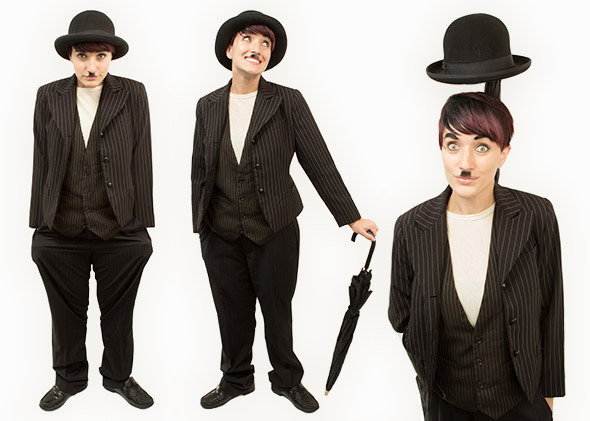 If you happen to remember and adore Charlie Chaplin’s work, who better to dress as for Halloween? All you need is a suit, hat, cane, and tiny mustache. This one isn’t too hard to pull off. You just need a dress, broom, and pointy hat. Bonus points if you paint your face and hands green like the Wicked Witch of the West. Be the superhero you always wanted to be this Halloween! 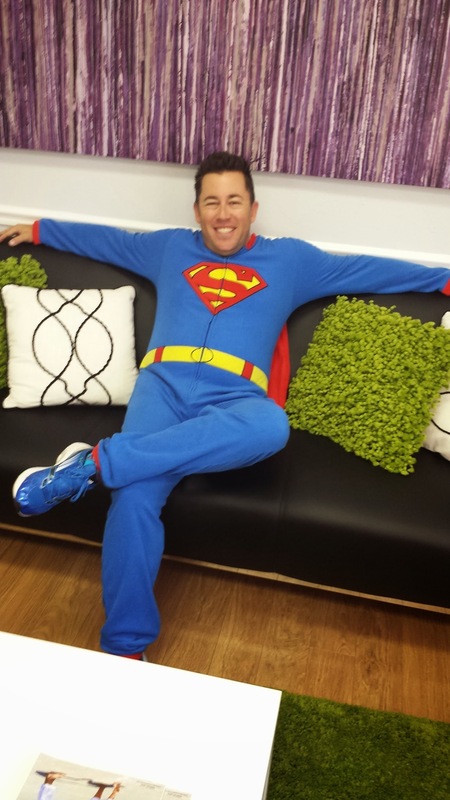 Check out the awesome Jacob Nassberg sporting a Superman costume for the Just Like Family Halloween celebration. 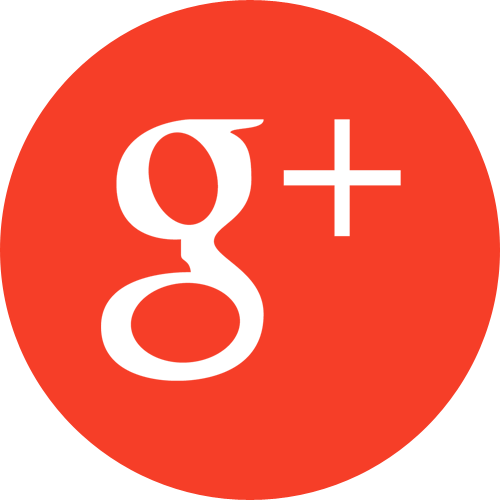 Categories: halloween, Just Like Family Home Care | Tags: Halloween, just like family home care | Permalink.